Three-part telescoping slide suspension. Lock secures both sides of drawer. Mechanical interlock allows only one drawer to open at a time to inhibit tipping. Leveling glides adjust for uneven floors. HON amp;quot;One Keyamp;quot; interchangeable core removable locks. 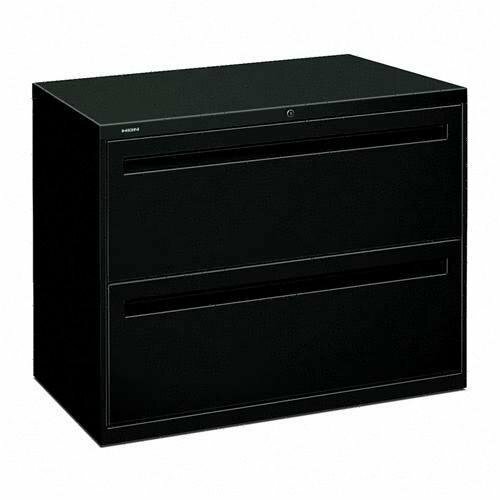 Color: Black Overall Width: 36amp;quot; Overall Depth: 19 1/4amp;quot; Overall Height: 28 3/8amp;quot;.